Pure solid wood. 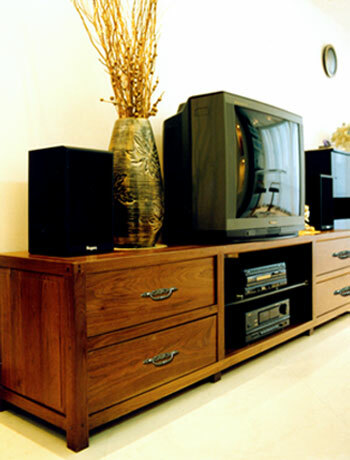 Two drawers on both sides and two laminates in the middle for center-channel speaker or audio equipments. It's more than something that holds up your audio components.